Terre à Terre is proud to present its fourth release of Down to Earth Sauvignon Blanc from its close- spaced vineyard in Wrattonbully, South Australia. Terre à Terre, a French expression meaning Down to Earth, is a small family business run by husband and wife team Xavier Bizot and Lucy Croser. Their vineyard is located next to Tapanappa’s Whalebone Vineyard, at the top of a north-south limestone ridge in Wrattonbully, one of Australia’s most exciting regions. The Terra Rossa top soil, which is characteristic of the area, is covered in the this part of the vineyard by a shallow layer of eolian sands, making it highly suited for Sauvignon Blanc. The vineyard was planted in 2004 on rootstocks at a relatively high density for the area (4,444 vines per hectare), making it one of the closest spaced Sauvignon Blanc vineyards in mainland Australia. The fruiting wire is only 50cm above ground, which is why the local vignerons call the vines the “low vines”. The vineyard is cane pruned (guyot double) by hand and the fruit is hand-harvested. One more hectare of Sauvignon Blanc was planted on the same spacing in 2013, using a new clone from the Cher region in France. The 2015 vintage was rather early for our Sauvignon Blanc vines. Budburst finished late September 2014, and flowering was in full bloom by mid November. The fruit was hand harvested on the 18th, 19th and 24th of February 2015. 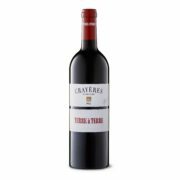 The fruit harvested on the 19th of February was crushed and destemmed and pressed to tank where it was fermented at low temperatures and aged on lees for 5 months, with 3 lees pump overs. It forms one component of our Down to Earth Sauvignon Blanc 2015, representing 72% of the final blend. The fruit harvested on the 24th of February 2015 was whole bunch pressed and fermented in a new 3,000L oak foudre and a two-year old 2,000L oak foudre. We used half of the wine made in foudres as a blending component of the Down to Earth Sauvignon Blanc 2015, representing 28% of the final blend. The alcoholic fermentation in foudres was very slow (4 months) leading to very unique flavour profile and some residual sugar. 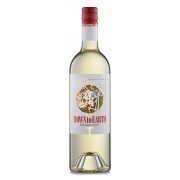 The Down to Earth Sauvignon Blanc has not been through malolactic fermentation and the different components were blended in August 2015, before being bottled on the 22nd of September 2015. 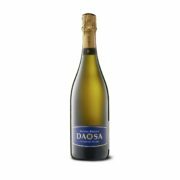 The result is a very seductive and ripe white wine with alcohol of 13.3%v/v, residual sugar of 1.7g/L, pH of 3.2 and TA of 6g/L. 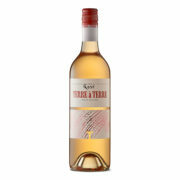 Intense stone fruit characters combined with subdued herbal flavours lead to great mouthfeel and very balanced finish. 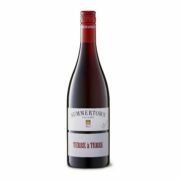 One striking feature of this wine is the persistence of flavours, which demonstrates the exceptional quality of the terroir in our Wrattonbully vineyard site.